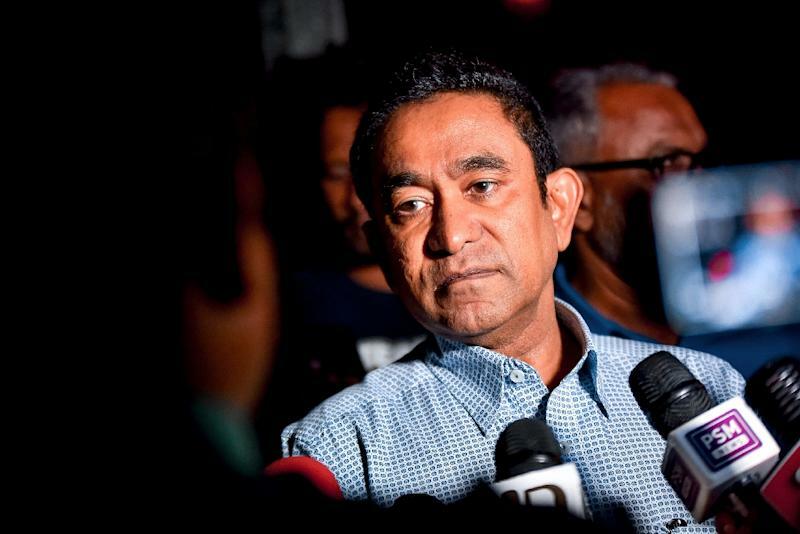 Malé (Maldives) (AFP) - Maldives authorities on Monday detained former strongman president Abdulla Yameen after he was accused of trying to bribe witnesses in his money laundering trial, officials said. The arrest came after the Criminal Court began a hearing into allegations that Yameen received nearly $1.5 million in illicit payments just before he lost an election in September and was forced out of power. "Prosecutors said that Yameen had allegedly attempted to bribe witnesses," a court official said, adding that the former president would be held at the Dhoonidhoo prison island near the capital. If convicted, the 59-year-old could face up to 15 years in jail and be fined three times the amount of the fraud involved. Yameen, who came to power in 2013 and jailed many of his opponents or forced them into exile, was summoned to the Criminal Court Sunday to formally receive his indictment. He sent his lawyers in his place. The court then scheduled a rushed hearing after prosecutors told judge Ahmed Hailam that Yameen was attempting to interfere with witnesses. Since Yameen's shock election defeat, all dissidents have returned to the Indian Ocean archipelago and most have had their convictions overturned. During his five-year tenure, Yameen relied heavily on China for political and financial support as he came under international criticism over his dismal human rights record. The nation of 340,000 Sunni Muslims is now heavily in debt to China. Authorities believe millions of dollars allegedly siphoned off by Yameen could be stashed abroad, and have said that talks are under way with foreign entities to repatriate any cash found. The court has already frozen Yameen's local bank accounts holding about $6.5 million, a decision the former leader has contested. Last week, an anti-corruption body came up with a report saying $79 million was embezzled from state-run Maldives Media and Public Relations Corporation during Yameen's tenure. There was no immediate comment from Yameen or his legal team on the detention order. 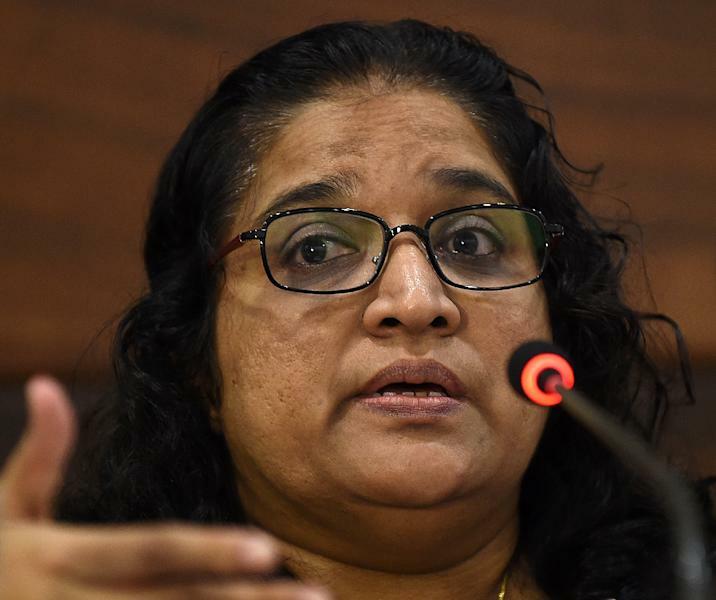 The arrest of Yameen came a day after his chief lawyer and former justice minister Azima Shakoor was also charged with embezzlement and helping her boss to launder money. Maldivian police earlier announced they had evidence linking Yameen and Shakoor to the theft of millions from the country. The Maldives was on the verge of being slapped with Western-led sanctions before opposition leader Ibrahim Mohamed Solih won an unexpected landslide in last year's election, campaigning on a pledge to end corruption in the country otherwise known for its luxury tourism.